Magna Steyr, which manufactures the MINI Countryman, will build BMW AG’s new MINI Paceman, the newspaper Kleine Zeitung reported. Austria-based Magna Steyr already assembles the Countryman in Graz and has won a contract to build the MINI Paceman model, a two-door “Sports Activity Coupe,” the paper quoted BMW development head Klaus Draeger as saying. Production of the Paceman – the seventh model in the MINI range – is set to start in late 2012 so sales can start in 2013, the paper said. Output levels are not yet fixed but are expected to be around 20,000 units a year, it added. Speaking at the launch of the Paceman at the Detroit Auto Show earlier this month, Ian Robertson, a member of BMW’s board, said he believes the Paceman will find an audience among buyers who are interested in four-wheel drive, but want a sport coupe product rather than a four-door sedan. Amazing stuff – great to see MINI flourishing, even if it is abroad. I would obviously rather see the MINI Paceman made in the UK but, as it’s a variant of the Countryman, it makes total sense for them to be built together. I just hope that someone, somewhere is lobbying behind the scenes for the next generation to be made in the UK. This transfer of manufacturing back to Europe makes me concerned for BMW employees building the current MINI here in the UK – the current MINI will surely be outdated in a couple of years and sales figures will decline unless BMW launch a replacement. Hideous! Just vile all around! All shallow, fashion-conscious fads die out eventually – and it looks like, when the time comes for this one, it’ll die out on the continent rather than at Cowley (sorry, BMW Plant Oxford). Perhaps with hindsight, back in the early to mid 2000s, those misguided folk conned into thinking that, by buying a BINI, they were supporting the British motor industry should have bought an MG/Rover instead – that way we might still have had one British-owned OEM with a long-term future. That’s all ifs and buts though, isn’t it? People did what they did and what happened, happened. I guess this news makes sense as the Paceman’s more or less a 3 door Countryman. I’m not that much worried about the British workers. I don’t see MINI falling out of favour any time soon. I’ll happily admit it’s not the car to be seen in any more. The impossibly cute Fiat 500 wears that crown now and rightly so! However, the MINI’s still popular nonetheless and sells by the bucket load – Plant Oxford can’t churn them out fast enough. There is just somthing about a frumpy body, bone-shaking ride and a face that looks like it had a few too many tokes on the joint that people just love. It is funny! We have been building many high-end German cars here in Austria since the early 1980s and now we will build Aston Martins and MINIs. However, I have just read in a German newspaper the next Maybach may be built in the UK! I guess that means we will see Astons and MINIs with the Austrian flag on their boots and German supercars with the Union Jack on their’s! Tim Collis :This transfer of manufacturing back to Europe makes me concerned for BMW employees building the current MINI here in the UK – the current MINI will surely be outdated in a couple of years and sales figures will decline unless BMW launch a replacement. I suppose that, if and when sales do fall, BMW would concentrate production in their own facilities instead of contracting production out to Magna in Austria – that means producing them in Oxford. I can’t see any MINIs being produced here in Germany as BMW Group has more than enough work to do in its factories building BMWs. I wonder whether the future of the British Automotive Industry rests with Engineers like Gordon Murray and the T25 and T27 City cars and projects such as the Riversimple. I believe that, if BMW need additional manufacturing capacity in the UK, there is a big car factory lying empty near Birmingham! What a really ugly car! I sometimes wondered what would have happened if BMW had kept Longbridge (with the original MINI production line) and MGR had taken Cowley (with the R75 line). Alternatively, if BAe hadn’t flogged off the site, Cowley would have been a lot bigger! I think you’re a little confused. Isn’t buying a MINI, designed and built in Great Britain buy Brits, supporting the British motor industry? Quite possibly… Had the MG Rover range in the 2000s had a decent product then perhaps people might have bought one. I, without really thinking, actually did – a 2005 MG ZT 2.5 V6. The car was undoubtedly the biggest pile of rubbish I’ve ever owned -total junk. Everything has gone wrong with it. 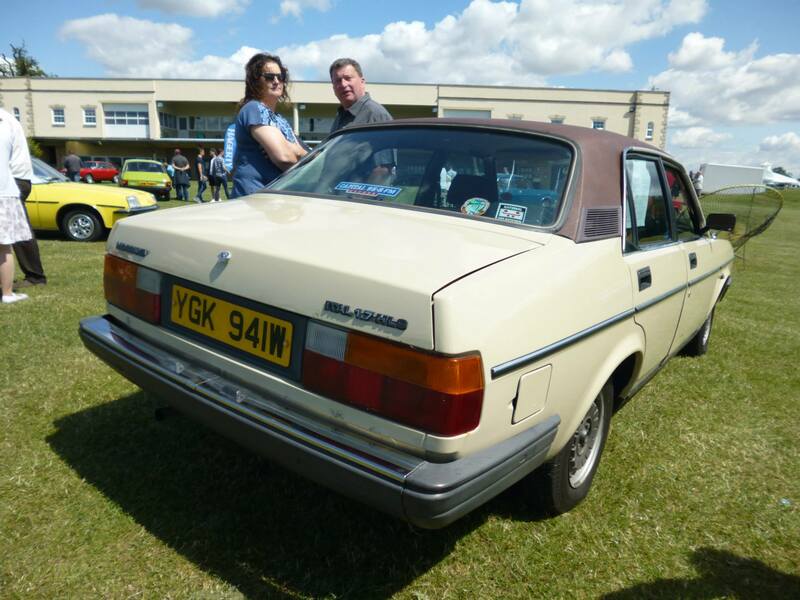 Sadly, I’ve still got the beast as no dealer or anybody will take it off me so, if you think MG Rovers are so good, please make me an offer – I’d swap it for a BMW MINI any day. Yes, let’s all celebrate BMW’s asset-stripping and dumping of our last volume motor manufacturer. BMW have recently announced they are now working on the Mk3 MINI Hatch replacement (which will include a new 5-door version) while the the MINI plant at Oxford is already being extended to build the 2-seater MINI Coupe/Broadspeed (to be launched later this year) and the MINI Roadster to be launched in 2012. MINI captured more than two per cent of the market and was the 9th best-selling car in the UK in 2010 with sales of 43,894 vehicles, an increase of more than 10 per cent compared to 2009. Worldwide sales also increased in 2010: see this article from the Motoring File website. Had the MG Rover range in the 2000s had a decent product then perhaps people might have bought one. MG Rover would have had the Mini replacement in their range had it not been for BMW’s disgraceful, asset-stripping tactics. I have owned both an MG ZS and a Rover 75 and I’ve found them both to be extremely fine cars. Why, if everything went wrong with your ZT, did you not take it back to the point of sale and have the faults rectified or obtain a refund? BAe had, long before, asset-stripped many of the sites with only a short-term view of running the business… Indeed, in mid-1990, Cowley was downsized, historic buildings were quickly razed to the ground and large plots of land were sold off for short-term profit as a retail park by BAe’s property development arm, Arlington Securities. Anyway, the MINI could never have sold in the worldwide volumes required to be economic without BMW’s established Dealer Network in the USA – not to mention a parent company with a reputation for reliability. The Paceman may not be to everyone’s taste but it is far more pleasing to the eye than the Countryman – not that that experience would be difficult to beat. Big business has done a fantastic job of conning the masses into aspiring to own their very latest goods while, at the same time, making the masses ignorant of their own exploitation. The fact is that BMW use MINI as brand rather than a model within a brand and market it as such. The MINI scooter is not that far away. The classic Mini has worn Austin, Morris and Rover badges. Chuck in Riley and Wolseley derivatives as well. Nowadays we have MINI One, Cooper, Clubman, Countryman and now Paceman. There’s no mention of the manufacturer’s name on any of the models. BMW are, at least, building the ‘standard’ MINI at Cowley, maintaining a strong workforce within the UK and will probably continue to do so well after our lifetimes. (This is not easy praise from a normally harsh critic!). However, sub-contracting a derivative to a third-party contract builder absorbs a lot of risk by not having to invest in new tooling for something that might not be a big seller. I think that BMW would have had a backlash on their hands and created absolute uproar if they had branded MINI as the BMW Mini Cooper etc. They have been very clever with this from Day 1 and recognised that putting any other tag on the car would not have helped sales, regardless of its looks and abilities. I don’t think BMW can really be accused of exploiting the masses in terms of selling their cars – at least the quality is there. BMW > MINI = PLOT = LOST. Clarkson got it right tonight on Top Gear – hardly ‘mini’ anymore is it?! It was so nice of our European friends to permanently ‘look after’ MINI for MG Rover. Should we be grateful they gave us the 75? Yes, but it still doesn’t excuse what I feel they did to the once mighty MGR! Unforgiveable… and now they’re thinking of bringing out a mini MINI? Er…hello? Alec Issigonis? 1959? Er, before knocking BMW, please don’t forget the Mini’s (and other BMW’s) engine factory and where it is. I accept that expanding Cowley would be better but shipping engines to Austria is still good news for the UK’s Balance of Payments – anyone else remember how important that was in the news before it went so continually pear-shaped? Anyone care to bet on whether BMW has its eye on the Unipart site slap bang next door to Cowley? Are there also common pressings coming out of Swindon? Yes, of course, and don’t get me wrong, I’m not a xenophobe. I drive a Merc myself, but I am just concerned for jobs here in the UK. Your statement presupposes that BMW will replace the current MINI with another comparable model. The exponential rate at which this “small car” seems to be growing suggests they’ll probably replace it with a range of battle tanks or articulated lorries. Your statement presupposes that BMW will replace the current MINI with another comparable model. The BMW Group’s Director of Design, Adrian van Hooydonk, has revealed to Autocar that the next-gen MINI will be a “bigger design leap than the last one”. Van Hooydonk also says that MINI’s new Head of Design, Anders Warming, will start the design of the MINI Mk3 from a near clean sheet of paper. The Paceman is a hideous car in the modern trend – it looks as though an elephant sat on the roof! Modern car design strikes me as being akin to the ‘King’s New Clothes’ syndrome – everbody’s doing it, so it must be good. There seems, to me, to be no individually creative design anymore, just a design theme which is adapted by individual manufacturers. Super, that’s excellent news. Now all we need is for the Chinese to start building proper MGs at Longbridge. We can all dream! Cheers for the info. I must be in a minority – I really like the look of the Paceman and think it might compete well with the Range Rover Evoque. However, I hope and dream that BMW will eventually produce a proper replacement for the AD016/1100 and use the Riley brand. I owned an MG 1300 and a Riley 1300 and, apart from the rust, they were excellent and charismatic. Please BMW do a replacement to compete against the Golf – combine Focus dynamics, Golf quality and MINI charisma and keep up the price under £20k. A MINI Crossman has appeared in the office car park. It looks tall, angular and garish – not a mini in any sense. 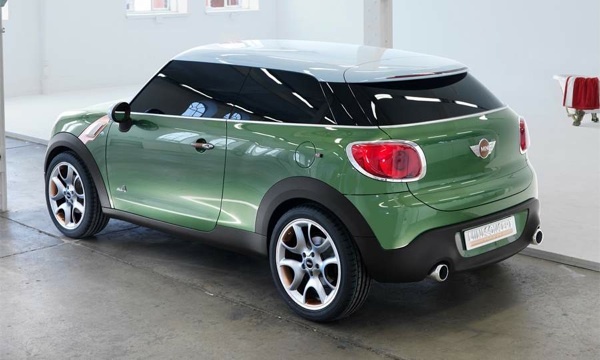 I like the look of the Paceman in the photos but I want to reserve judgment until I see one in reality. It is NOT great to see a so-called Mini model made overseas. Yes, it’s definitely not a mini in the true sense of the word, but I must admit that I quite fancy a Crossman in a Sarah Palin-type way. Yes, but similar or identical models were being built in the UK at the same time. The point being made by some is that the Paceman is not made in the UK. It’s good to see engines and panels being exported though. You and me both then. Mind you, the more I see of them, the more I dislike the Countryman – it’s a nice name for a car but the car itself is grotesque. BMC/BLMC/BL/ARG/MGR went bust (again) and they were saved by the Government – we funded it all then it was sold off. The current owners of the various former BL brands therefore now have the right to build whatever cars they like, wherever they like. Yes, in an ideal world, they would all be built here but it’s not up to us anymore. Let’s, at least, be grateful that a good manufacturing facility at Cowley is still there! Just how many posts do Paul T and Simon Woodward make over the course of a day? What is the point of this car? Looks like that new Citroen from the back.